This week, vivid photographs have been released of a Russian Orthodox priest annointing the Soyuz, the crew, and even the press in advance of the May 15 launch to the International Space Station from Baikonur Cosmodrome. Blessing the crew is a tradition that began in 1994 by request of cosmonaut Alexander Viktorenko before his launch to Mir. This is one of the few Russian pre-launch traditions that were not founded by or related to Yuri Gagarin, the first man in space, since religious expression was limited in the pre-1990 Soviet era. Usually, a priest administers the blessing to Soyuz crew on the steps of their hotel. On this launch, however, a few additional blessings were included. 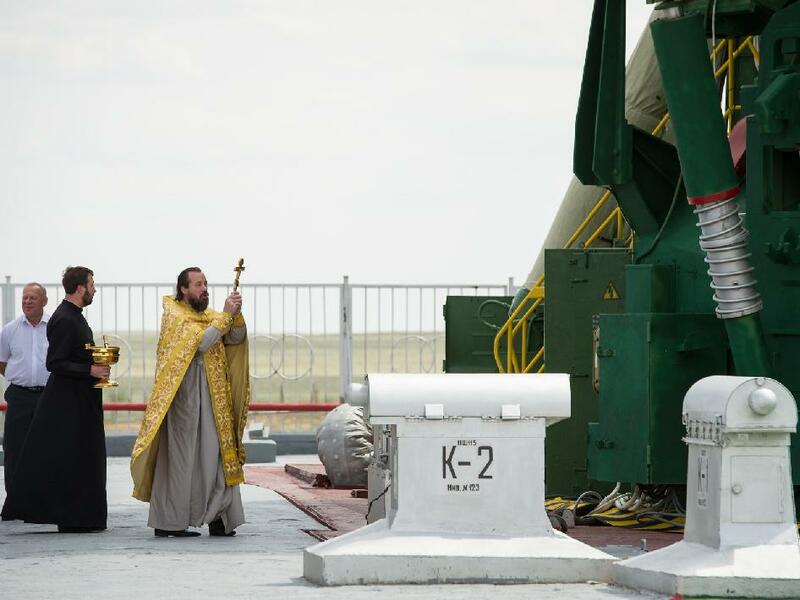 A Russian Orthodox priest blessing the Soyuz at the launchpad in Baikonur Cosmodrome on May 14 (Credits: Bill Ingalls/NASA). 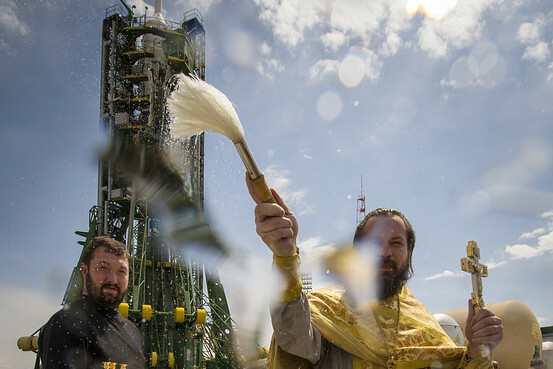 A Russian Orthodox priest’s liberal annointing with holy water includes the press at a pre-launch blessing on May 14 (Credits: Bill Ingalls/NASA).